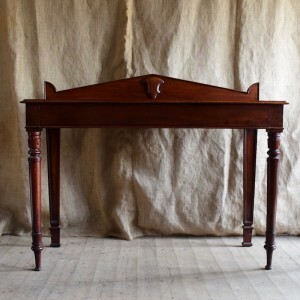 Handsome large mahogany serving or side table with central drawer and arched back. 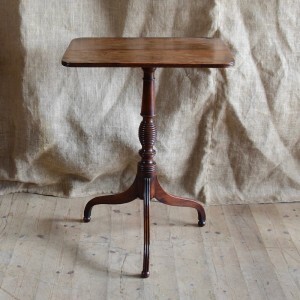 Height of table top is 91cm. 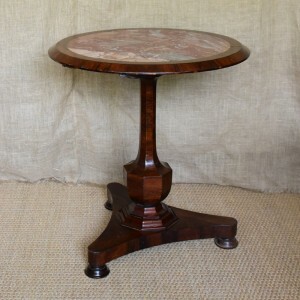 Elegant little yew occasional table. 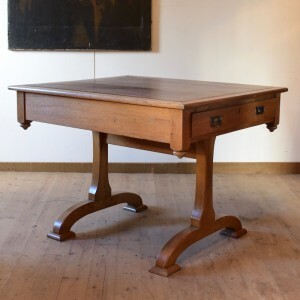 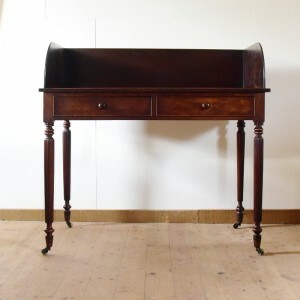 An early 20thC library table/desk of interesting design and good brown leather top. 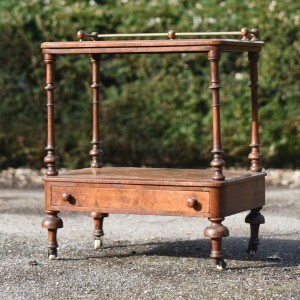 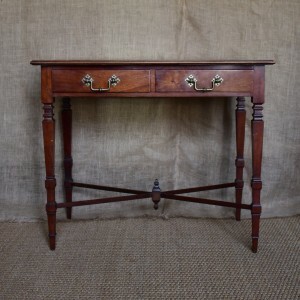 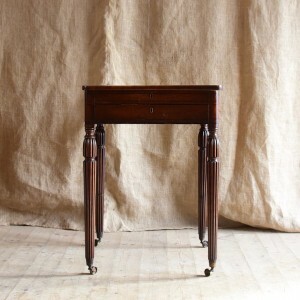 A mahogany serving table of good proportions (or possibly a washstand) with double drawers on tapering reeded legs and casters. 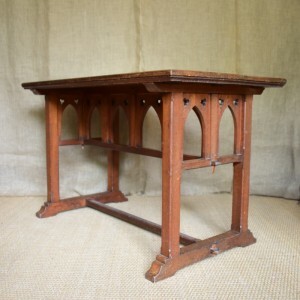 Good quality, late 19thC oak table in the Gothic style with a light top and darker oak base. 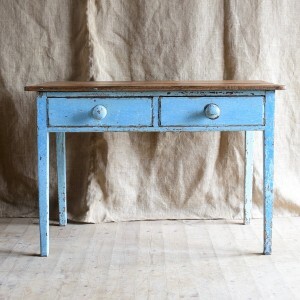 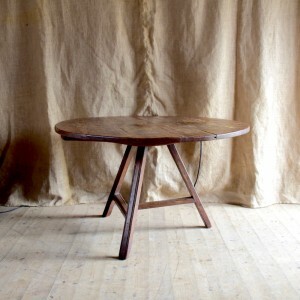 A simple, plank top, Arts and Crafts oak table of unusual design.